Through March 1, Jane is offering this Destery Dolman Tunic for just $18.99 down from $39.99 PLUS FREE shipping! We are loving the unique style of this new Destery Dolmas Tunic! From the trendy striped design to the colorful cuffs on the dolman style sleeves, to the super flattering looser fit, how can you resist? This tunic is so soft and comfortable it will quickly become a closet favorite! 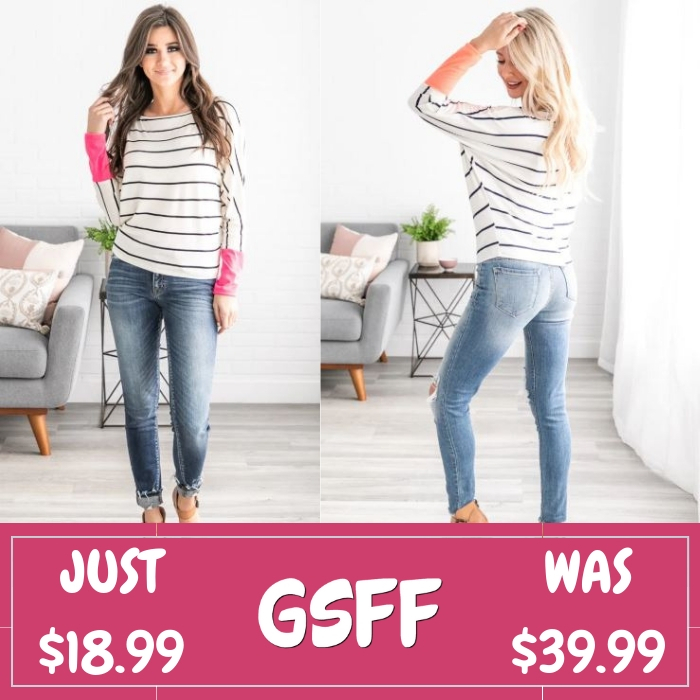 Rock it with your favorite skinnies or leggings and you’re sure to look and feel great! This deal expires on March 1! 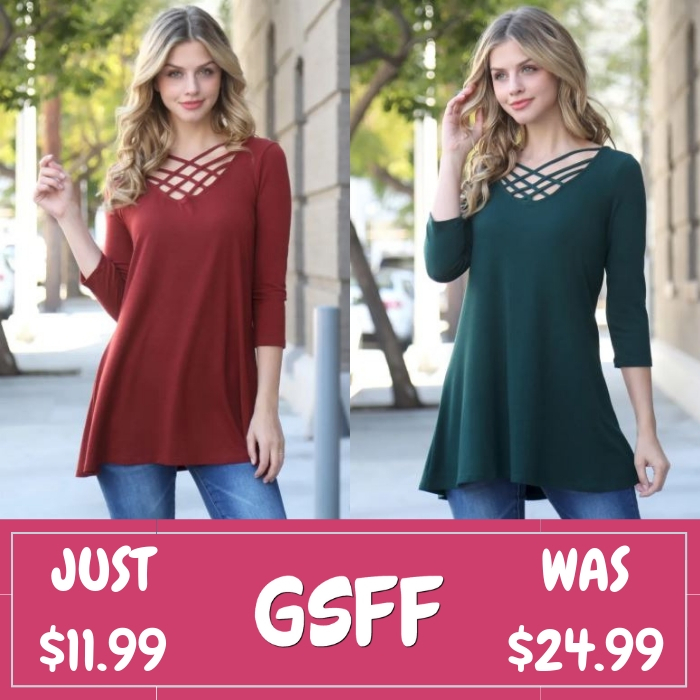 At Jane, you can score this Cold Shoulder Tunic for just $7.99 down from $59.99 PLUS FREE shipping! Through February 26 only! Jane has this Strappy Tunic on sale for just $11.99 down from $24.99 PLUS FREE shipping! This long sleeved strappy tunic is made of soft, stretchy material, comfortable in its relaxed fit, and flare! Pair with just about any outerwear of your choice, this should work well as a must-have essential!